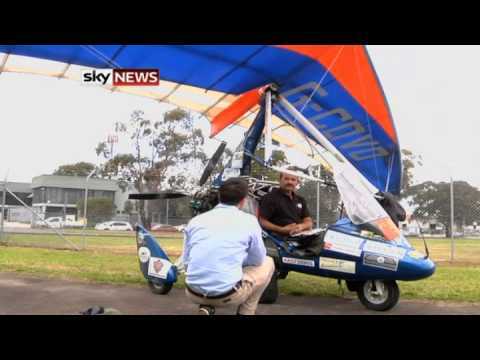 A paraplegic British pilot has landed in Sydney after flying all the way from the UK in a microlight. Yorkshire man Dave Sykes covered almost 12000 miles in more than four months. Sky’s Australia correspondent Jonathan Samuels spoke to him at the end of his journey.